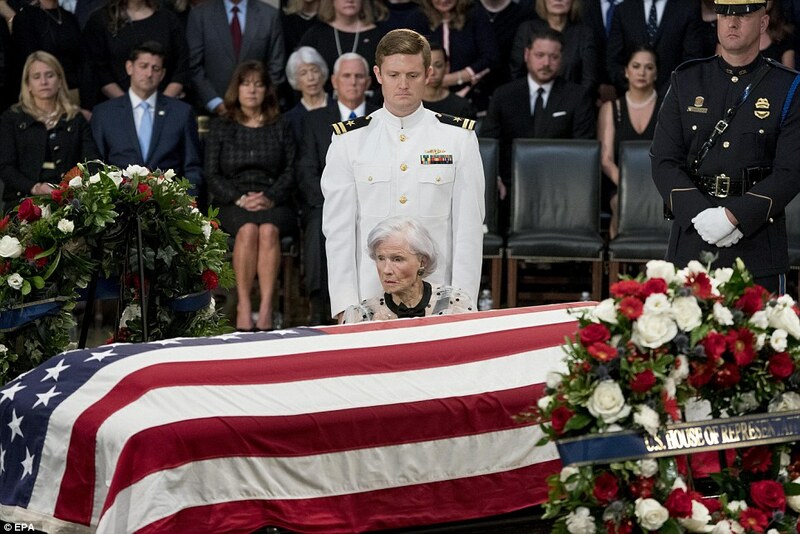 John McCain's 106-year-old mother, Roberta, mourned her senator son in public Friday as his casket was carried into the Capitol Rotunda to lie in state on the catafalque built for Abraham Lincoln. Roberta McCain was comforted by Vice President Mike Pence minutes before an honor guard bore the senator's flag-draped casket into the room, to lie under the center of the Capitol Dome. Pence is the most senior member of the administration present as McCain banned President Donald Trump from attending his memorial services.